Charles Baskerville is the latest victim of a centuries-old curse! Now, Henry Baskerville needs Sherlock Holmes' help to break the curse, before another murder occurs! Travel to legendary Baskerville Hall, and figure out exactly what is going on, and what the mysterious Hound of the Baskervilles is after. 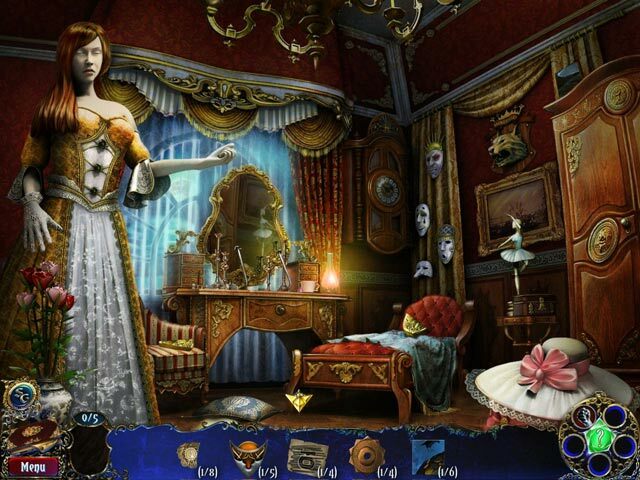 Crack the case in this incredible Hidden Object Puzzle Adventure game, Sherlock Holmes – Hound of the Baskervilles! Sherlock Holmes and the Hound of the Baskervilles is rated 4.7 out of 5 by 97. Rated 5 out of 5 by greenshade from GREAT GAME! Although developed by Frogwares in 2010 this game rivals many of the recent games I've seen offered lately. While it has older features like non interactive HOs the adventure and storyline are riveting.. the voiice overs are straight from a Sherlock movie, there's a transportable map with indications that there's something to do there.. Had the BEST time replaying it this morning after seeing it being offered. If you don't have it, get it! Rated 5 out of 5 by neilskinut from real fun and a good game A very enjoyable game. The puzzles were nicely done in that for the most part not too impossibly. The skip button charged up fairly quickly. You may not need it though. Not too much back and forth and the map has a one click navigation feature so that saved some time to get from one area to another. The HOS were good and not hard. The puzzles were ok. Had a good flow to the game. Has voice over. Has an achievement system so you get rewarded for things. Good game give it a try. Rated 5 out of 5 by bishky from Loved it!! This is one of the best games I have played in years. It is beautifully drawn and sound is great. You are Sherlock Holmes and of course your sidekick is Dr. Watson. Inside a huge mansion you go from room to room to solve a mystery. Inside the rooms you go back and forth in time. What a concept. It is great fun and very challenging (in a fun way.) I can't say enough about how fun this game is. It makes you think about what you are doing and how to go on to the next challenge. Not too hard though so I think intermediate players would love this too!! The help button is great and I am not ashamed to say, I used it. LOL Try this game, you will not be sorry. I wasn't. Rated 5 out of 5 by damlaa_beguus from Beautiful game ! Beautiful game ! I want play again ! 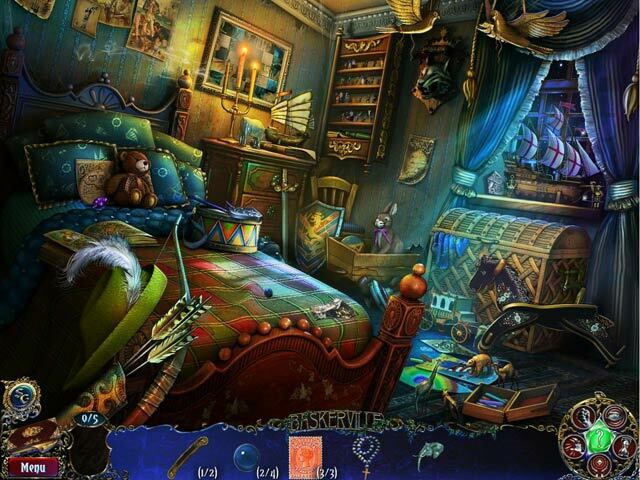 Rated 5 out of 5 by smuckers820 from Superb Hidden Object Game Everything you want in a game! Rated 5 out of 5 by Huntleyhimnher from Excellent game! The game was fun and flowing, I couldn't stop playing, I just had to see the ending!! I played on hard and the puzzles weren't too hard. The attention to detail in the HO's was amazing as I am not a fan of HO so I was impressed. Really loved it and would highly recommend this game!! Rated 5 out of 5 by alwayscasual from Perfect for the casual player This game is so relaxing and enjoyable.The items completed will offer a question to be taken to the location to complete which I find very helpful. The HO scenes are enjoyable and awards are fun. The objects to collect sparkle.Everything about this game is exactly what I desire as a relaxing game to play. I would hope other developers would look to this game to meet casual players desire,fun,interesting story,helpful throughout and just the right amount of challenge in the puzzles also able to skip with no penelties. Also areas to visit and tools to use keep the enjoyment going! Rated 5 out of 5 by centauri272 from Good game with some challenging puzzles This is a good game with interesting features. There are 2 game modes. - The sound is not too boring. - The graphics are clear. The objects in the HOS are easy to find. There are many other objects to find in the various locations. - Most of the puzzles are easy, but some are really challenging and need quite some time to solve. - There is an interactive map, showing you where there are tasks and enabling you to jump to the location. - You get various strengths, helpful to find objects. - You get also various achievements throughout the game. - There is no journal. - The dialogs are sometimes quite long, but can be skipped. Without skipping any puzzle or dialog, it takes a bit more than 2 1/2 hours. But there are so many things to do, that I didn't find the game to be too short. Rated 5 out of 5 by mahbah55 from Great SH game! I really enjoyed everything about this game. The graphics were nice, the puzzles were challenging with an option to skip, and I loved collecting the achievements. Great game, not to miss! Rated 5 out of 5 by methosfl from The game is afoot! This was a beautiful, clever, creative game that I thoroughly enjoyed playing. Beautiful graphics, well done HOS, good variety of mini-games ranging from easy to ridiculous (I did have to look up the answer to one in the walk through and I kid you not it required over 50 clicks to complete!!!) Traveling between past and present (OK, 19th century present), the power to materialize, illuminate, super strength. Just an all around good time that I'll be playing again and again. Rated 5 out of 5 by godfreygirl from Wonderful and fun!! What a GREAT game!! The graphics were perfectly beautiful, the storyline was interesting enough for me to read it....many times I get bored and just skip that part, but not with this game. Everything about this was great. The HO parts were easy enough to not be frustrating, but not so easy as to get bored with them. The hint button helped with everything.... where to go, what to do next, etc. I just think the whole game was great. I'm even going back to create a new profile so I can play it again.....and I don't do that very often at all. I highly recommend this one. Rated 5 out of 5 by debdavw from EXCITING! This was an extremely exciting game. I found it VERY entertaining! The extra puzzles were great! Rated 5 out of 5 by game_happy from GREAT GAME!!! I would have preferred animation but the artistry of the characters and VOs were good. The investigation is done in two modes, past and present. You must collect the wolves' eyes to pass from present to past. There is a map which guides you from scene to scene by telling you that tasks need to be completed in the area. Most of the puzzles were a bit annoying. HOs were good, clear with some items smaller than others. Hint recharges quickly but skip button takes much longer. There is a penalty for random clicking with Holmes stating "Don't be too hasty". LOL You also have to collect Coat of Arms pieces in order to place in the portraits to dispel the curse. You also need to collect 5 powers which you can use in the scenes for additional help. All in all, a great game! Rated 5 out of 5 by samilady from fun game Is a interesting game!I l love Sherlock Holmes! Rated 5 out of 5 by Nomon0 from Absolutely loved it This is my first Sherlock Holmes game and I just loved it. It is very engaging and very well designed. Rated 5 out of 5 by snow890 from Excellent game This game was absolutely a positive surprise; storyline is what you would expect from Sherlock Holmes story, puzzles and hidden object games are difficult enough so that you have think to figure out the solution or find the object. Game is also long enough to be good value for the money. Special points go to the map and game shortcuts which allow you to jump to the location directly without running back and forth around the game. In this game you can collect items and figure out what to do with them as all is not self-evident. Some objects are also hidden so well that you must be careful in studying the locations to pick up the smallest details. This was very much a game to my liking and I expect to replay it later. Rated 5 out of 5 by cavebear from Grrrrreat Game!!!!!! What a wonderfully scary, well put together game. Although it is a very old story this company has put it together so well it was fairly easy to follow. The rewards throughout the game were a cool added attraction and gave you a boost each time you won another one. I must say I enjoyed it tremendously as I am sure others will too. The HOs, mini-games and just getting to the next spot were exceptionally challenging but not impossible. The colour, sound and VOs very well done. This game is well worth the money and more!! I loved the game and was utterly delighted with the ending. Rated 5 out of 5 by einiespal from Great game! I think this is one of the best BF games I've played. Love the story and the depiction of Sherlock Holmes. Gameplay is very well designed. There is an interactive map that actually gives useful info and allows hopping. The HINT button works well during gameplay, and there is even a message generated when a location is complete and when a big action is possible. The artwork is good as well as the music. HOS are crisp and clear with little penalty for random clicking. This is a thoroughly enjoyable game! Rated 5 out of 5 by Min_Sedai from Best Hidden Object Game So Far This was fun, even if it didn't follow cannon storyline at all . . . Sherlockians, be warned that you shouldn't go into this game expecting Hound of the Baskervilles! I thought that the mix of puzzles and hidden object screens was the right balance, and I also liked the achievements. The amulet's mystery powers were a nice touch. A question for you hidden object fans out there: Since playing this game, I tried several others and they aren't nearly as well-done/entertaining as this one. Any recommendations for other Big Fish games that are of this caliber? Maybe the reason this is so good is because of Sherlock (albeit only nominally)? 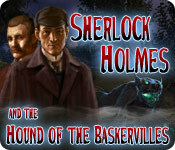 Rated 5 out of 5 by Mrs_Kim from Sherlock Holmes and the Hound of the Baskervilles Totally loved this game, the storyline is nothing like the real novel and die-hard Sherlock fans may not find this great, but it is a great game and the graphic, the puzzles and everything in this game is fantastic. Rated 5 out of 5 by ociany from Great Hidden Objects Game Great game with great HO scenes not to mention it adds a great twist to the Sherlock Holmes theme. Definitely a must play for all fans of the genre. Rated 5 out of 5 by torment123 from GREAT GAME This is one of the rare games that is both interesting and user friendly. I'm still playing it and it only gets better. The help given does not let this game become frustrating as happens in other games that force you to play it totally with a walkthrough. 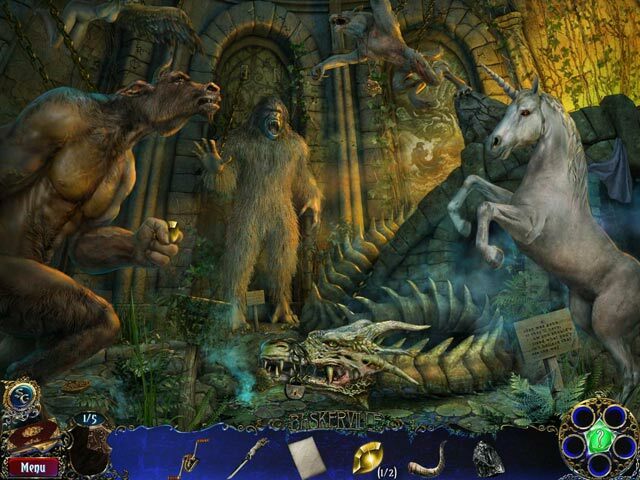 I wish all the Hidden Object games was like this!! Rated 5 out of 5 by YolBolsun from Love this game, Graphics are prime and challenge is doable. Have played and replayed this game cuz I haven't found others to rival it. Rated 5 out of 5 by sallygallycat215 from Come, Watson, Come! The Game is Afoot! I'll try to be brief here, but it's hard to because I absolutely loved this game. I'm a true Holmesian through and through, having read the books (including the Hound of the Baskervilles) and played all of the games here--and by far, this one is in my top 3 games of one Sherlock Holmes and Dr. John Watson. The game play was very fun and easy to follow, without getting to nitpicky or difficult to understand what to use where. Unlike some other games, the character's voices didn't annoy me, nor did Holmes's or Watson's appearances. Baskerville Hall was beautiful, as was the graphics and the puzzles and games were very fun. Though I did not like the supernatural aspects, I loved this game. I don't think Holmes would have appreciated the supernatural-esque in the game, but it sure was different than the novel and I applaud the developers for pulling off a strange storyline rather well. But that's me pointing out a change that they had to make so it wouldn't be dull; I am the type that tends to lean towards a stricter interpretation of the books, but this game won me over without a catch. Overall, I loved this game and I continue to play it even after I've finished it--after all, why let such a good game go to waste? Rated 5 out of 5 by wiccan73stars from Must have for Sherlock Fans! Great Game! 2 modes of play to choose from, awards are given throughout the game for accomplishments, great graphics, wonderful VOs, plenty of HOS and the puzzles are nicely done with a wide range of difficulties. The storyline is true to Sherlock Holmes stories and is a nice refreshing change of pace. Can't wait to play again on expert mode! Rated 5 out of 5 by ts1sds from A Game Worthy of Sherlock Holmes I join with the other reviewers who have given this game high marks. In addition to the well-documented facts that the puzzles and hidden object scenes are challenging without being frustrating - and the excellent storyline - there is the element of time travel. Rooms that morph into their past appearance and the murder scenes, are a real plus to the entertainment factor. The supernatural atmosphere of the story is fun as well. Best of all, the ending is smooth and doesn't leave you hanging. This is an all-around great game. Rated 5 out of 5 by Rudygeegee from Excellent Game! Boy, what a game! Great storyline, graphics were excellent and characters made sense. Game was a little longer than usual, which was a bonus. My only CON would be that the game ended! I wanted to keep playing. Rated 5 out of 5 by cloudburst from number 1 HOB ON MY LIST I loved this game, it kept close to the sherlock and watson chacters and story line, but gave it enough twist to keep you playing, I play all games with the sound off; so have no opinion on that- but graphics were great! I hope they come out with another one soon. I bought it and think you should too! Rated 5 out of 5 by theskywatcher from hounds loved this game - one of the best. Charles Baskerville is the latest victim of a centuries-old curse! Help Holmes break the curse before the next murder occurs!